This weekend is Wine & Chocolate Weekend! 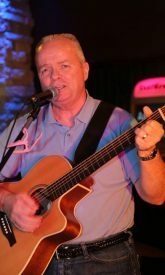 Visit us in the Terhune Orchards Vineyard and Winery tasting room as we continue to celebrate Valentine’s Day. Enjoy chocolate baked goods homemade in Terhune’s own bakery paired with our award-winning wines. Bring your loved ones, friends and family to enjoy sweet treats. 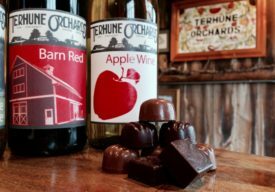 For this weekend, we are offering a special wine and chocolate pairing of locally made chocolates and Terhune wines. Chocolate pairing includes wine flight, chocolates and a souvenir glass. We have partnered with Pierre’s Chocolates of New Hope, PA known for their old world recipes and single origin artisan chocolates.